08 Feb 2019 / 11:46 H.
A NEVER-issued Motown album by Marvin Gaye is to finally see the light of day next month, marking what would have been the artist’s 80th birthday. 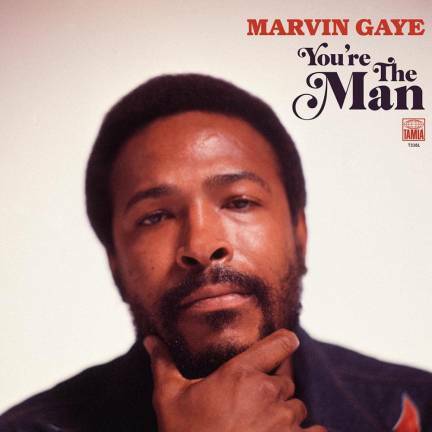 Due out on 2LP gatefold vinyl and as a digital edition, You’re the Man will include all of the soul singer’s solo and non-soundtrack recordings from 1972 – with 15 of 17 appearing on vinyl for the first time. In 1972, Gaye was enjoying acclaim from his album of the year before, What’s Going On, and he recorded enough music over the course of that year in Detroit and Los Angeles to make another album. Other than the single You’re the Man, however, none of the material was released at the time, and it is these tracks that are gathered together for the upcoming release. Other music featured on the album includes a canceled 1972 Christmas single and an unreleased mix of its instrumental B-side, as well as several remixes by writer-producer SaLaAM ReMi of Symphony, I’d Give My Life For You and My Last Chance, the last of which is now available for streaming. A new essay by Gaye’s biographer, David Ritz, is likewise included, exploring the artist’s internal conflict at the time these tracks were recorded.